On 8 August 1948, seven weeks after the Malayan Emergency was declared on 16 June 1948, the first group of 49 Iban Trackers was sent to Malaya to assist the Commonwealth forces in fighting and tracking down the Communist insurgents in the thick jungles of Malaya. Initially, their term of service was 3 months only. Some chose to stay longer. Twenty-four of this original group of 49 Trackers were attached to the newly-formed Ferret Group No. 4, a unit comprising Gurkhas and ex-members of Force 136. The remaining 25 were attached in small groups to the various Gurkhas, British and Malayan battalions already deployed in Malaya. By the end of August 1948, a further group of 55 Ibans had arrived and by October 1948 there were some 170 Ibans at Seginting Camp, Port Dickson. On completion of their three months service, each group of these Trackers were flown back to Kuching. By mid December 1948, all, except 29 who had agreed to extend their service for an additional three months to meet a special request by the British Guards Brigade, returned to Sarawak. This last group finally returned home on 7 March 1949. However, the Malayan Government again requested for the service of the Iban Trackers. In April 1949, a new group of 40 trackers was raised and sent to Malaya on a six months service. With more demand, this number was increased and by December 1952, the numbers had reached 301 Iban Trackers. By this time too, some 1,168 Ibans had completed a tour of active service with the various security force units in Malaya. Of those, 8 were killed in action and 10 wounded of whom 5 were invalidated. The first fatality occurred on 12 March 1951 when Tracker Jaweng anak Jugah of Ulu Gaat, Kapit, who was deployed with A Troop 42 Commando Royal Marines, was accidently shot by a special constable who mistook him for a CT. In that same year, Tracker Awang anak Rawing of Skrang was awarded a George Cross, the civilian equivalent of Britain’s highest military award, the Victoria Cross and Malaysia’s equivalent of the Seri Pahlawan Gagah Perkasa (SP). The award recognised Awang’s exemplary courage and devotion to duty by saving the life of Private Hughes, a member of No.10 Platoon, D Company, 1st Battalion The Worcestershire Regiment, after the platoon was ambushed by a big group of CTs on 27 May 1951.This award was the first in history to be awarded within the Malayan Archipelago and the only one awarded during the Malayan Emergency. On 13 November 1952, Tracker Menggong anak Panggit, appointed as Acting-Lance Corporal and Second-in-Command of an Iban platoon, led an assault on an enemy camp, after his platoon commander, Lieutenant R R G Bald of the 1st Battalion The Cameronians (Scottish Rifles), had been killed instantly in the initial engagement. For his gallant actions, Menggong was awarded the George Medal. Undoubtedly, there would have been many more awards given to the Iban Trackers than the two mentioned. However, the Iban Trackers were still recognised as civilians and therefore not eligible for military honours and awards. Platun ti keterubah, diketuai oleh Lt Col C.J Baird OBE. 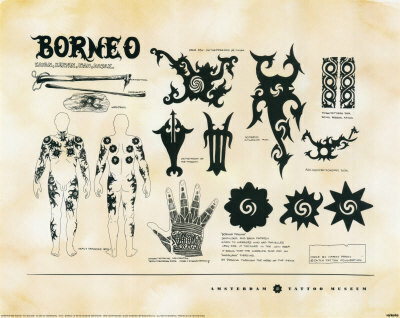 The Iban elders and leaders in Sarawak were not happy with the para – military roles their young men were given and had asked that they be given full military responsibilities and status. On 1 January 1953, the Trackers were re-formed into Sarawak Rangers (Malayan Unit) with Lt Colonel C. J Baird as the first Commanding Officer. They were performing the same duties that they were doing when they were trackers. The Ibans had impressed Britain so much that they were taken in as a part of the British Army – just like the Gurkhas. On 31 March 1960, Sarawak Rangers (Malayan Unit) was disbanded and the following day, 1 April 1960, it was renamed and reformed into Sarawak Rangers (Far East Land Forces) to become a part of the British Army. They now could be deployed to any parts of the world – just like the Gurkhas. On this same day, Sarawak Rangers saw its first Governor – Commissioned Iban officer, Second Lieutenant James Tomlow anak Isa. On 31 July 1960, the Malayan Emergency ended. This entry was posted in JERITA TUAI on June 3, 2013 by uwa1971.